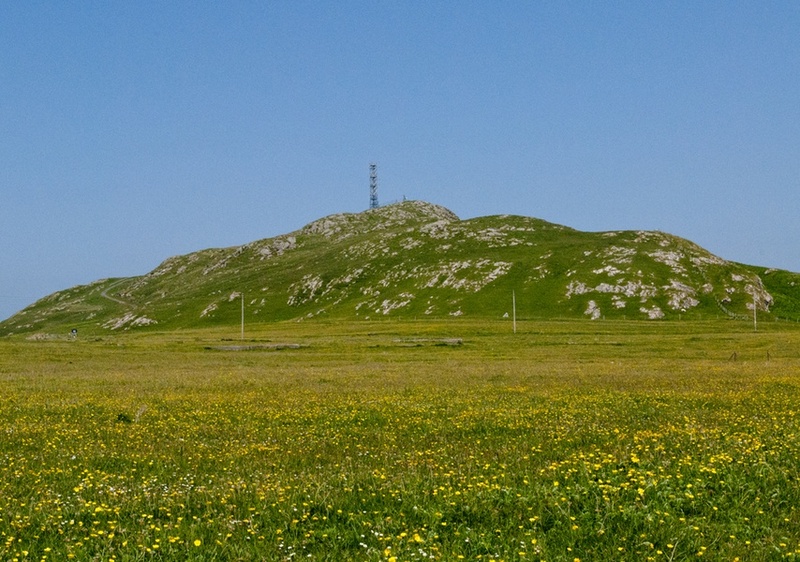 Ben Hough reaches a height of 119m and provides panoramic views of the whole island. 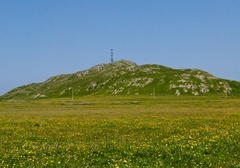 The concrete steps to the right of Hough House lead to the summit observation post which was part of the RAF presence in Tiree during the Second World War. The pass between the two high points is known as Bealach na Beinne.